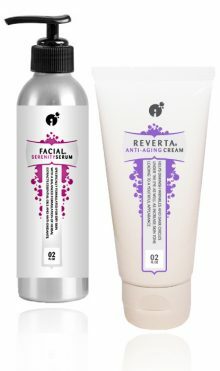 Reverta’s Eczema Cream is rich in Omega 3, 6 and 9 fatty acids and anti-inflammatory ingredients that help heal eczema-prone skin. In addition, it contains vitamin E and shea butter to soothe and protect dry skin. 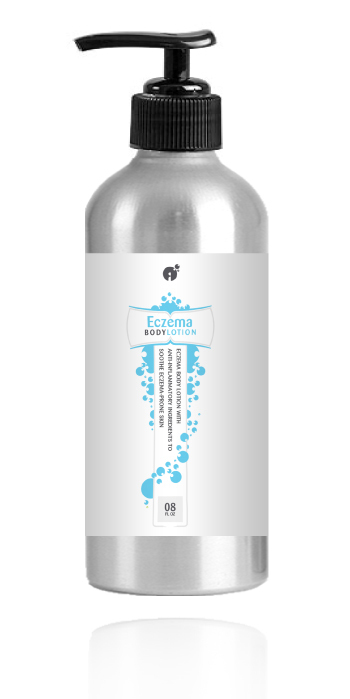 Eczema is a inflammatory skin condition that causes dry, flaky, itchy skin (rash). Eczema affects the outer layer of the skin (epidermis), which becomes inflamed. The most common forms include Atopic eczema ( a dermatitis-like allergic skin reaction that is believed to be hereditary), Contact dermatitis (allergic skin reaction to an irritant) and Xerotic Eczema (overly dry skin that turns into eczema). The condition affects about 20% of the world’s population and no cure is available. Several skin treatments are available to reduce the inflammation and itching of the skin. Corticosteroids are commonly used to treat this condition. However, due to the fact that corticosteroids cause thinning of the skin, we do not recommended long-term use of these steroids. Red Raspberry Seed Oil contains a high amount of Essential Fatty Acids (EFA’s). These include linoleic, alpha-linolenic, and oleic acids. Omega-3 and omega-6 fatty acids have been shown to reduce the effects of oxidative stress in skin. Studies further suggest that Omega-3 and Omega-6 fatty acids are useful for eczema and other skin conditions. Cranberry Seed Oil contains Omega 3, 6 & 9 fatty acids, Vitamin E and other natural antioxidants. Cranberry Seed Oil may be helpful to soothe irritated skin conditions such as eczema. Calendula Extract has long been used for a variety of skin conditions due to its anti-inflammatory activity. Calendula has great moisturizing properties and is thought to speed up the healing process of skin lesions. Centella Asiatica (also known as gotu kola and Indian pennywort) is a perennial creeping plant found around the Indian ocean. Centella Asiatica extract is anti-inflammatory and is often used to aid in the healing of small wounds, scratches and superficial burns. Studies show that the main constituents of Centella asiatica promote collagen synthesis, which improves the tensile strength of the skin. distilled water, Glycerin, Lactic Acid, Grape Seed Oil, Meadowfoam Seed Oil, Raspberry Seed Oil, Cranberry Seed Oil, Shea Butter, Vitamin E, Behenyl Alcohol, Ceteareth-20, Behentrimonium Methosulphate, Isopropyl Palmitate, Isopropyl Myristate, Polysorbate-20, Dipropylene Glycol, Glyceryl Stearate, PEG-100 Stearate, Licorice Root Extract, Calendula Extract, Centella Asiatica Extract, Phenoxyethanol (preservative), Lavender oil (less than 0.005%). Apply thin layer of Eczema Cream to affected areas once daily. Not recommended for face. A slight tingling sensation right after application is normal. If rash or irritation occurs, discontinue use and consult a physician. Please note: ingredients in this product are known to increase photosensitivity. Please wear appropriate sun protection when outdoors.